Custom home with thought for every detail makes this incredible, brand new transitional/ranch home, an absolute jewel. Grand entry way to combo dining/family room with gas fireplace. Grand kitchen with gas fire place. 8 bedrooms. 5 baths. Unusual opportunity to choose your own kitchen and bath cabinetry, sinks, faucets and appliances, (NOT INCLUDED IN PRICE), making this home uniquely yours. 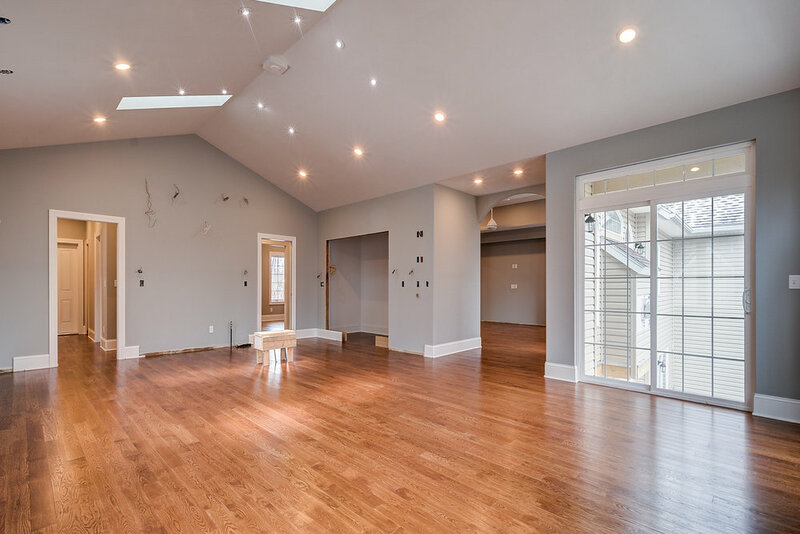 Elegant, spacious and light-filled, this home is an entertainer's delight and will be the envy of everyone. Room for a nanny, in-laws, or extended family. Spread out and enjoy the space or cozy up together on the first level near one of the fireplaces. Enjoy watching the changing of the seasons from every room.